The great American poet, Walt Whitman, was roundly criticized for publishing those words. 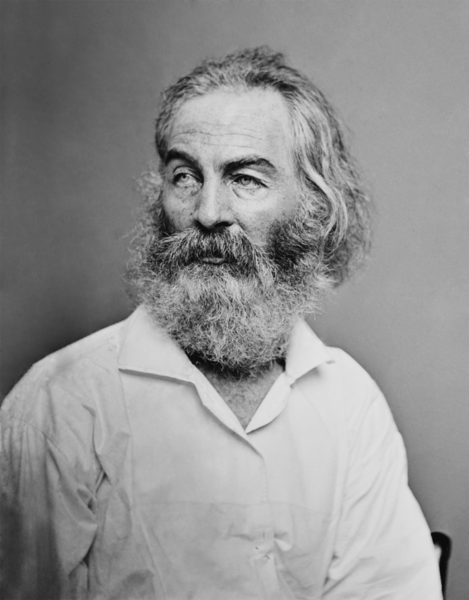 Whitman’s landmark Leaves of Grass, the book containing “I Sing the Body Electric”, was initially ignored by the public then viewed as controversial. The poem – dealing as it does with the human body – was labeled obscene . Whitman celebrates the body, in all its physicality – the stomach, the lungs, the bones and marrow, the heart, the bowels, and the rest. The poet speaks of apprentices, laborers, farmers, firemen…even slaves. He praises infants, girls and boys, mothers and fathers, daughters and sons. What Whitman concludes is that the body is an expression of the soul. “And if the body were not the soul, what is the soul?” he asks. The question is worth considering. Christians often view the body as a temptation to sin and nothing more. In this view, the body is a sort of overcoat to be used, beaten into submission, then discarded. Abuse victims understand that outlook far too well. Often, we despise our bodies. In an effort to distance ourselves from the abuse, we distance ourselves emotionally from the flesh which was subjected to such pain and humiliation. Emotional distance becomes our refuge. We hide our bodies in drab and shapeless clothing; disguise them in layers of fat; or cut them as punishment for the unforgivable crime of serving as targets for our abuse. Because of that alienation, it can be extremely difficult for child abuse victims to reconnect to their sexuality, as adults. Some of us never do. We carry that secret shame as long as we live – a “defect” for which we feel somehow responsible, though it is as much a scar of our abuse as any other. Many of us pursue frantic sexual activity, in a mistaken belief that collecting sexual partners will allow us to reclaim the essential aspect of ourselves stolen in childhood. Surely, the next lover will be the one to save us, to restore the piece missing from our souls. Such is our desperate hope. This is vastly different from carnality. We do not revel in the flesh, do not worship it. Blindly thrashing about, we seek spiritual release through temporal means. When that fails us, we feel soiled and broken. Mortified at having settled for so little. These bodies of ours – assaulted, wracked by illness, alternately ignored and reviled – have taken the full brunt of life for us. They deserve respect. What else would our bodies show after decades, but wear and tear? We might not at age 20 have imagined stretch marks, varicose veins, and sagging jowls. But those are badges of honor, evidence of the battles we have fought – internal and external. In that sense, certainly, the body is a reflection of the soul. “And the prayer of faith will save the sick, and the Lord will raise him up. And if he has committed sins, he will be forgiven” (James 5: 15). While here on earth, Christ healed the sick: the lame, the blind, the lepers. He continues to care for and about us today, body and soul. In fact, our bodies – battered and scarred as they may be– are temples of the Holy Spirit (1 Cor. 6: 19). We are promised resurrected, spiritual bodies in the next life, when carnality – and abuse – will be no more. “Our bodies are buried in brokenness, but they will be raised in glory. They are buried in weakness, but they will be raised in strength. They are buried as natural human bodies, but they will be raised as spiritual bodies” (1 Cor. 15: 43-44). Walt Whitman, also, wrote the acclaimed “O Captain, My Captain” and “When Lilacs Last in the Dooryard Bloom’d” about the death of Abraham Lincoln. The quote is frequently attributed to Christian writer, CS Lewis, in error. Lewis’ view was that the body and soul are an organic whole. Yet another well written post.. great insight that I can relate to.. I am thankful that many woman have found healing, and healthy marriage relationships through Jesus Christ, after years of abuse in many forms. Thank you for the compliment, Mary Ann. I have wrestled w/ these same issues. But you are absolutely right. Many abuse victims find healing and happiness through Christ. That is the goal. Excellent post, Anna. I’ve seen your theme played out many times over the years, and some at peace in great marriages in the end. Others continue on to fight the never winning battle themselves. Our Lord can heal in the worst of situations and bring us back to purity and wholeness. Thanks for weekly teaching us of the multi-faceted areas of abuse and its victims. Thank you as always for your input, Levi. Christ, above all others, is the Great Physician. He can restore what was lost to the broken, and help us see our lives in a new light. profound piece of writing Ann. I have never read Walt Whitmam. I think I shall do so. Thank you, Alan. You are always so kind. Definitely a complicated issue. I most appreciated what you said about the “frantic sexual activity” with it’s “desperate hope” being different from carnality. There’s a lot of judgment, without understanding and compassion for those caught in the mix… Thanks always for your thoughtful posts, Anna. God bless you abundantly. I so appreciate your words and your voice, Anna. Many thanks for the compliment, especially from someone so articulate! How knowledgeable you are, Aquileana! Given your blog, that comes as no surprise. 🙂 Christians, of course, believe that God existed before Catholicism, before even Greek mythology. “In the beginning was the Word, and the Word was with God, and the Word was God ” (John 1: 1).